Located opposite Dubai Opera, Kizmet is a recently opened eatery and bar serving breakfast through to dinner – it’s the type of place you can pop in for a coffee, or to enjoy a carefully crafted cocktail. We’re told that ‘Kizmet’ means ‘fate’ in 14 different languages, and the restaurant’s menu draws global inspiration from this, with all dishes offered originating from different countries. Now, we’d usually run a mile when presented with a menu that serves everything from Mexican and Polish, to Middle Eastern and Italian – how does a kitchen handle such variety? But trust us, Kizmet’s chefs pull this off. Set over two-floors, Kizmet is cozy and completely on-trend for the Instagrammers – think plush pink sofas and lush greenery all paired with copper and marble furnishings. There’s a wide variety of dishes on Kizmet’s menu, all inspired by the restaurant’s team of 17 different nationalities and their fondest home-style foods from childhood. A paper menu with a pencil is given out for ticking off each of the dishes you wish to try, which are served in no particular order, just as and when they’re ready. Dishes are served sharing-style and some edge on the small side, so be sure to order a dish or two extra if you’re really hungry. Highlights include the creatively named ‘my girlfriend is not hungry’ avocado fries with habanero mayo, and the mouthwatering hummus that’s playfully served with perfectly crisp tofu churros for dipping and topped with swiss chard and almonds. 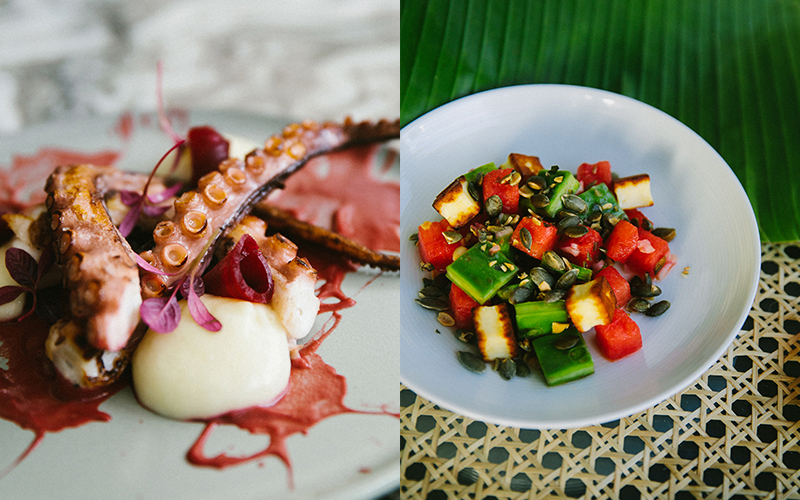 The grilled octopus is cooked fantastically and served on a purple explosion of beetroot puree and potato foam. Although it takes a while to arrive, the bone marrow is well worth the wait and oozes butter-like texture atop toasted sourdough. More ample in size, the crispy whole sea bass is served with a flavour-packed curry sauce and sticky coconut size. Desserts are delicious – not only are they a joy to look at, but they taste great. Don’t miss the tres leches, served as sponge cake topped with coconut foam, yuzu sorbet and super thin milk paper. 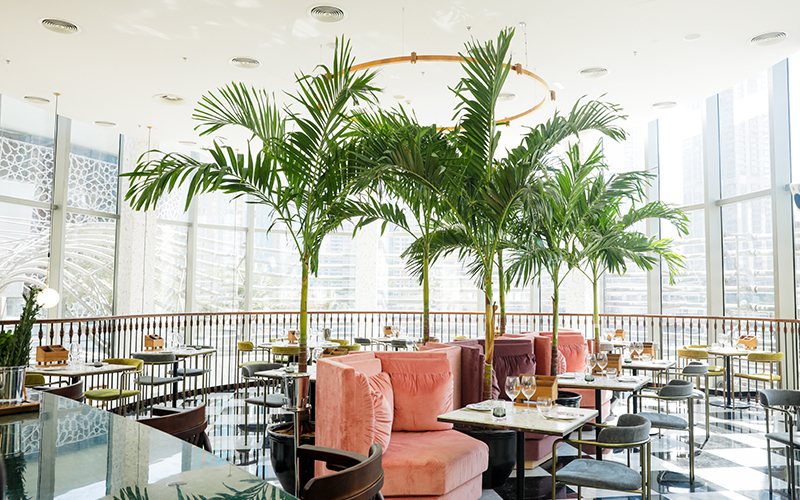 Ideally located just across from Dubai Opera, Kizmet is a great spot to visit before or after a show – whether to enjoy a quick bite or a drink (the bar menu is great). The venue has also recently started serving a new weekend breakfast menu called ‘Yawn’, which is available every Friday and Saturday from 10am to 2pm. Details: For more information or to make a reservation, call 04 33 88 717 or visit kizmetrestaurant.com. To read more of our restaurant reviews, click here.